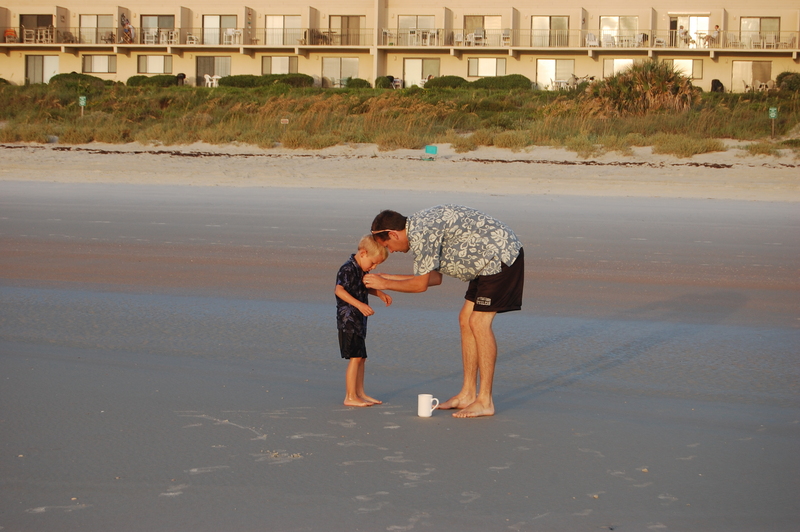 The last few summers we have joined my brother, Sir Ryan and his family for a stay at the beach. A perfectly relaxing getaway filled with sun bathing, wave catching, pool peeing, and beer drinking card playing. 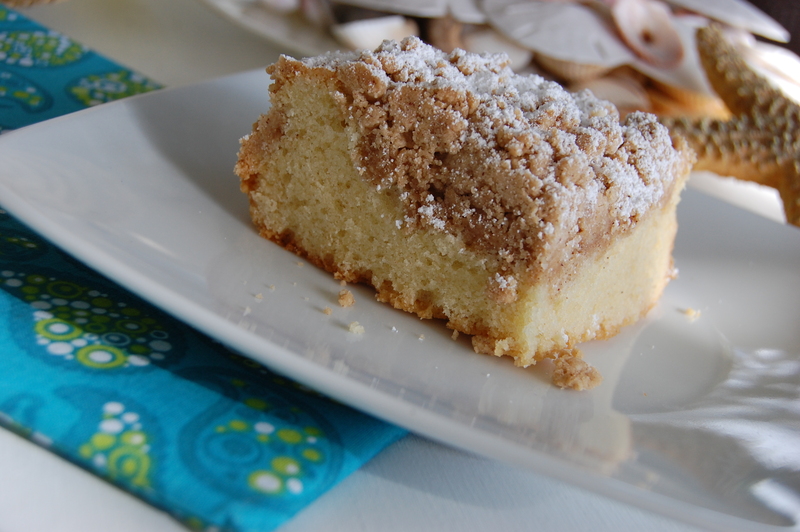 Traditions run strong in this family, and one that comes with this annual trip is Sir Ryan’s love of coffee cake and the yearly appearance of the Entemann’s Box. This year I thought I would try my hand at it, I was sure I bring it better than a box. 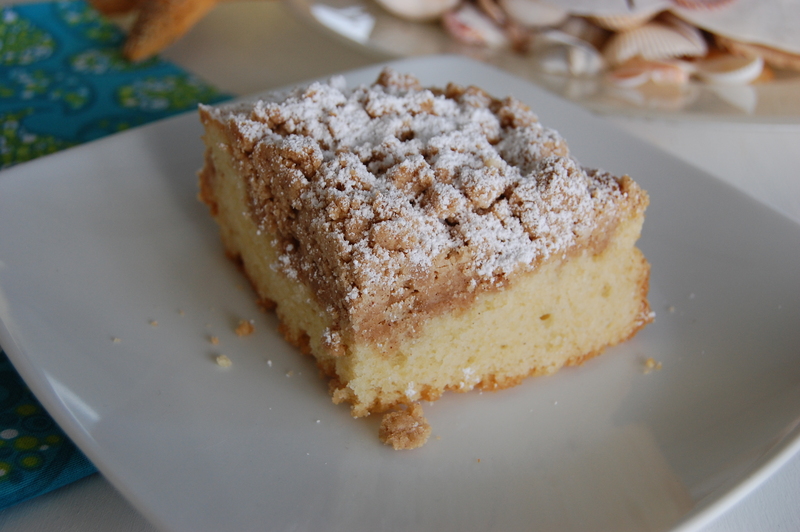 The cake came out great, moist and fresh, perfectly crumbly. The guys loved having it to start their early morning fishing trips! Sir Ryan and my husband Sir Wes went fishing every morning. Sir Sully joined them one morning for a bit. The senior boys each caught one fish only, but they enjoyed themselves as true fishermen do. Don’t be tempted to substitute all-purpose flour for the cake flour, as doing so will make a dry, tough cake. If you can’t find buttermilk, you can substitute an equal amount of plain, low-fat yogurt. 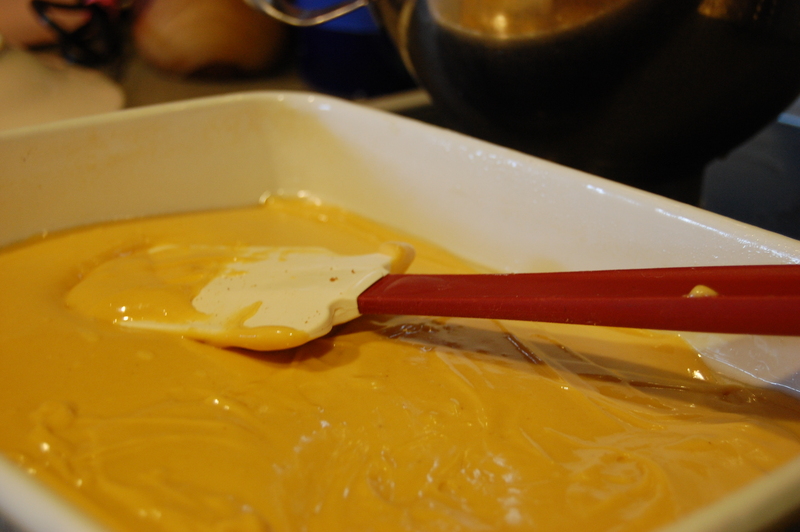 When topping the cake, take care to not push the crumbs into the batter. This recipe can be easily doubled and baked in a 13 by 9-inch baking dish. If doubling, increase the baking time to about 45 minutes. Cooled leftovers can be wrapped in plastic wrap and stored at room temperature for up to 2 days. Thank you Entemann’s, you’ve inspired!! In bowl of standing mixer fitted with paddle attachment, mix flour, sugar, baking soda, and salt on low-speed to combine. With mixer running at low-speed, add butter one piece at a time; continue beating until mixture resembles moist crumbs, with no visible butter chunks remaining, 1 to 2 minutes. Add egg, yolk, vanilla, and buttermilk; beat on medium-high speed until light and fluffy, about 1 minute, scraping once if necessary. The only thing Sir Sully caught was a wave, to his dismay. 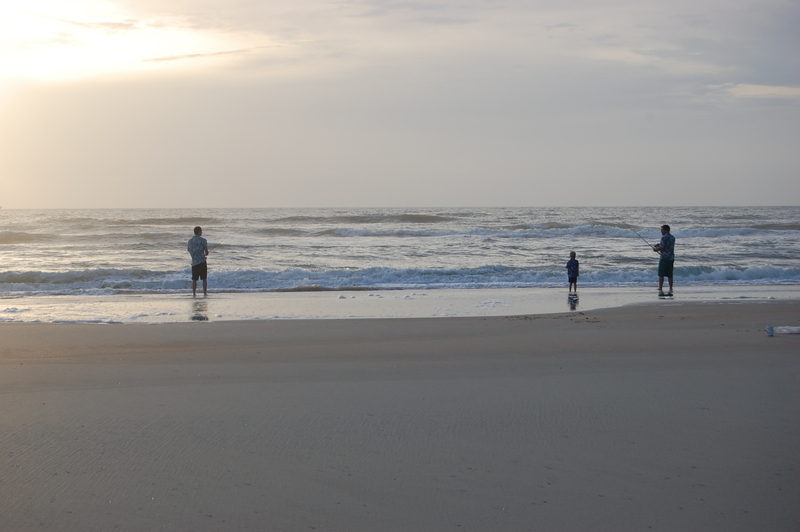 We had a great time at the beach this year, with a new breakfast tradition and a couple of fisherman! Maybe next year we will be lucky enough to have fish for dinner! 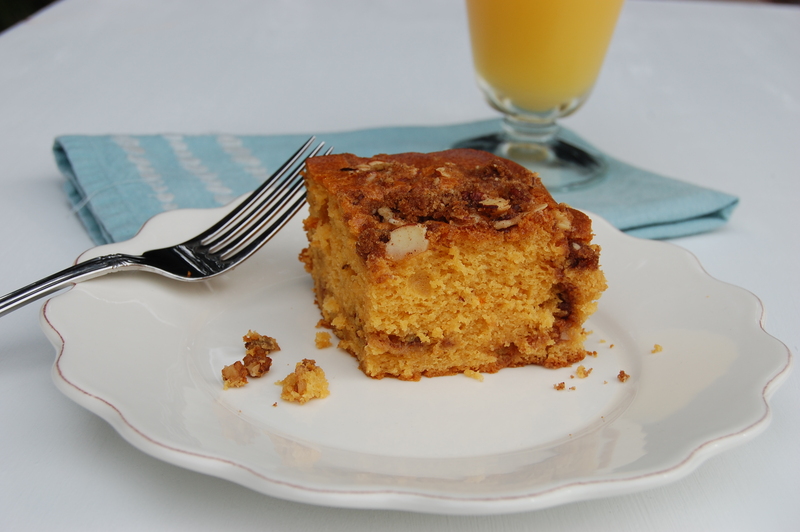 This little recipe will make you look forward to getting out of bed! It is such a simple, quick recipe, with ingredients that are easy to keep on hand in your pantry. This is one of the best things Queenie (my mom) made when we were growing up- I wish I could remember which neighbor or friend she got the recipe from, but for now I will credit her for the inspiration. We grew up outside of Philly, where we had real weather compared to where I live now, in Orlando. 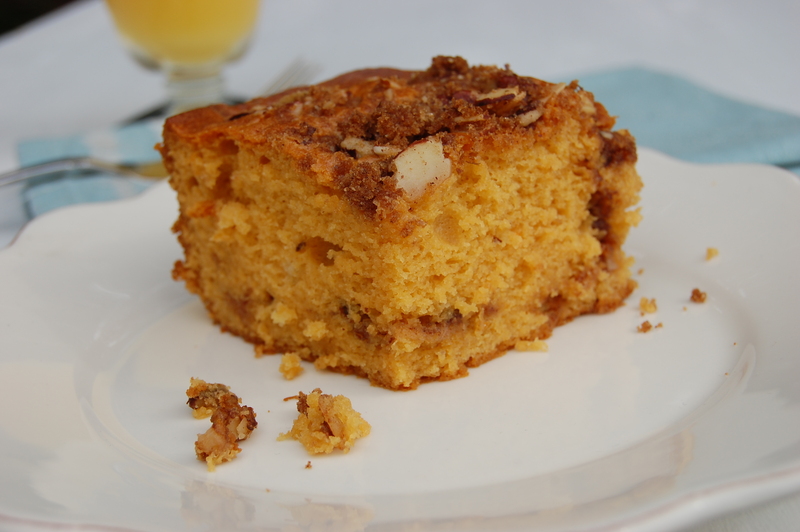 This Butterscotch Pecan Coffee Cake was perfect for both a chilly fall day treat and a snow day snack, unbelievably moist and delicious! Preheat oven to 350°, be sure to adjust oven racks so the center rack is free to use and that there is no rack above as the cake will rise quite a bit. 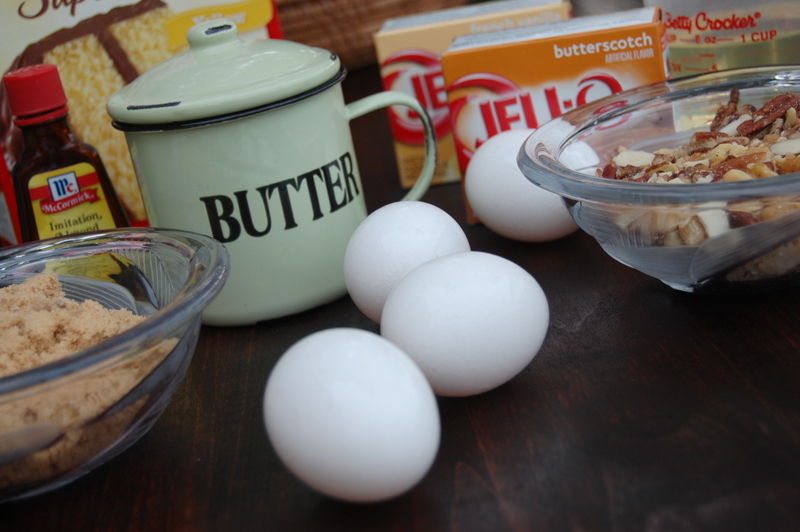 Mix all the cake ingredients together in a bowl. 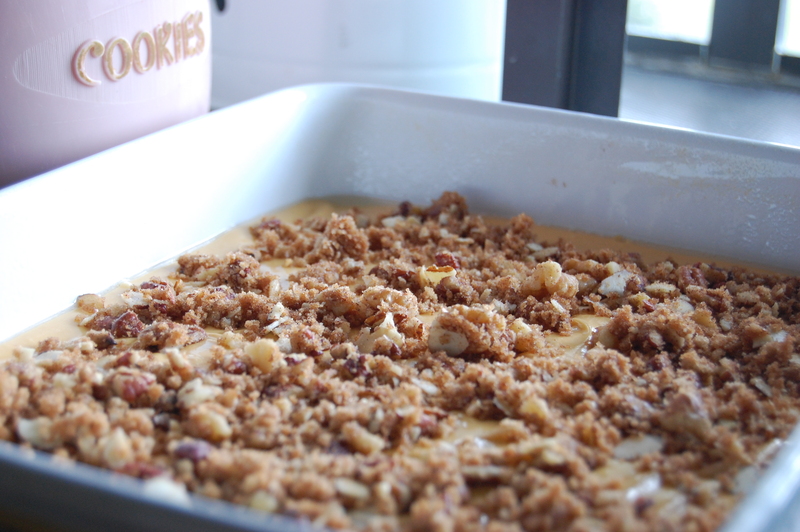 Mix all the crumble topping together in a separate bowl. 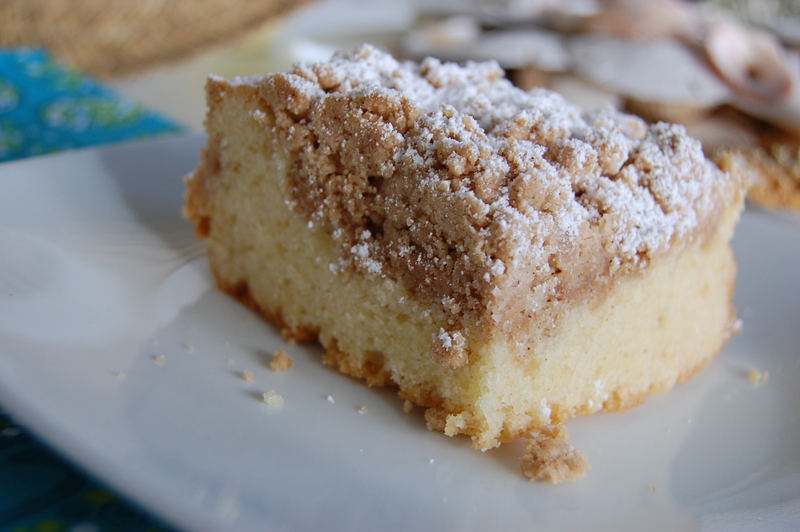 Pour half of the cake batter into a greased (pan spray is fine) 9×12 baking pan, and sprinkle half of the crumble on top. Pour remaining batter into pan and sprinkle with the remaining crumble. Bake for 45-60 minutes, until the center is cooked. Sweet goodness, right out of the oven!!!!!! 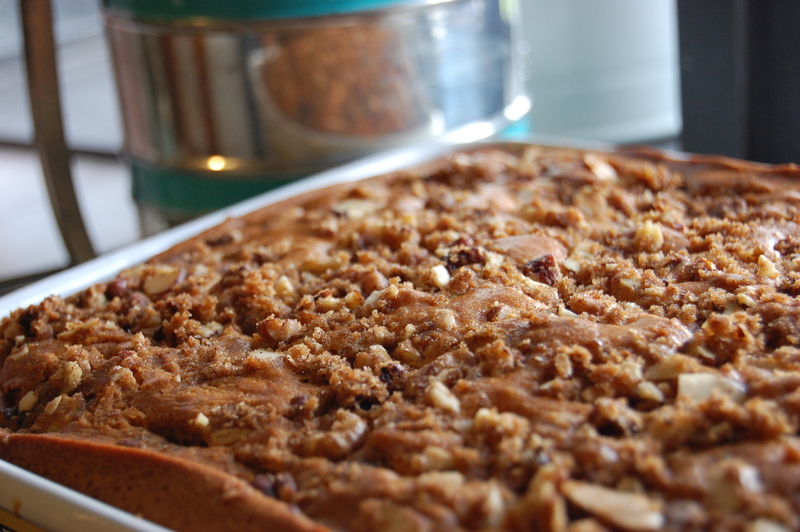 Because the cake is so moist, it will taste great all week long,…. if it lasts! Go ahead and try this old philly neighborhood recipe!